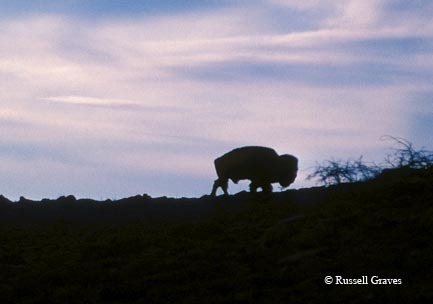 A plains bison surveys the prairie at Caprock Canyons State Park. 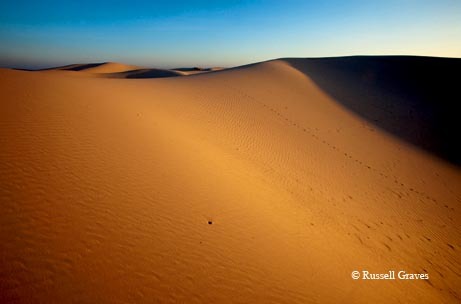 Sand dunes and sky dominate the landscape at Monahans State Park in West Texas. 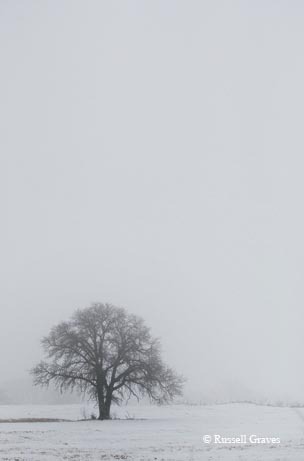 A lone tree in the snow near Childress. 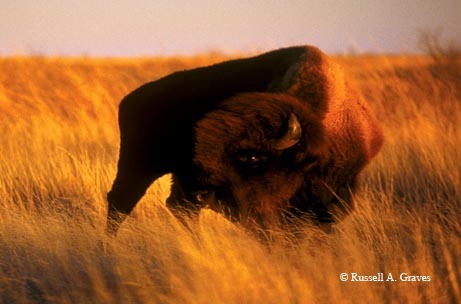 A bison on a private ranch in northern Texas. 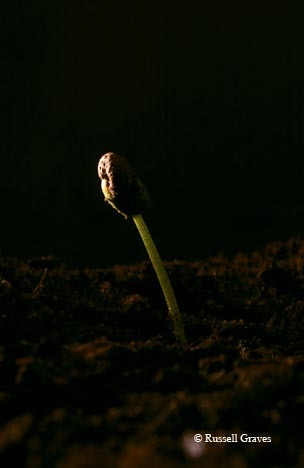 A cotton seedling emerging from the earth. 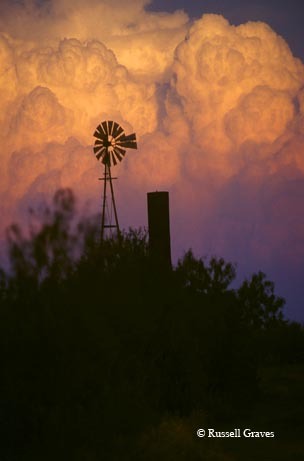 A thunderstorm at dusk near Childress. 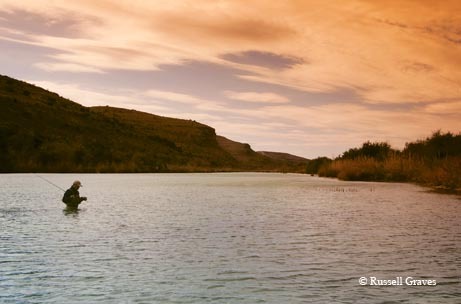 An angler tries his luck in the Devils River near Loma Alta. 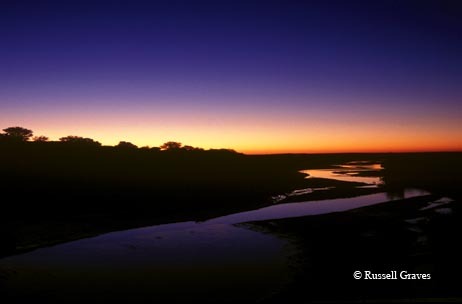 The colors of the sunrise paint the sky, reflected in the Pease River near Paducah.